We need more funding for tongue research. Another technological marvel had been accomplished by the Scummers of the SIA! 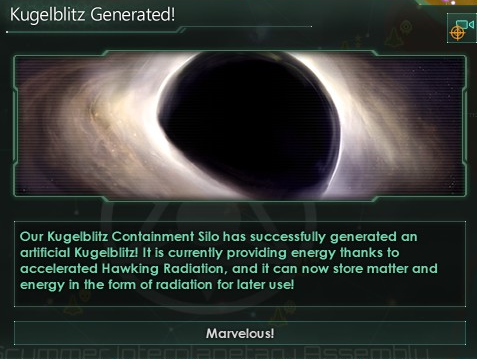 Funded by the giant surplus of resources and funds renewed social reform had brought, the best engineers to be found had been set to work constructing a Kugelblitz Containment Silo. Frankly, that sounds terrifying, and it sort of is. For those that don't know what angry-german-word's are a kugelblitz is a blackhole created by firing enough energy (heat, light, or radiation) at a singular point that becomes so intense it forms an event horizon. This gives birth to a black hole. A containment silo would then maintain and control said black hole. Now many of you will wonder "why the f*** do we want to make a black hole, this sounds like a terrible idea". You're not wrong. The Hawking radiation released from the even horizon however can be used to generate energy we can transform back into matter. 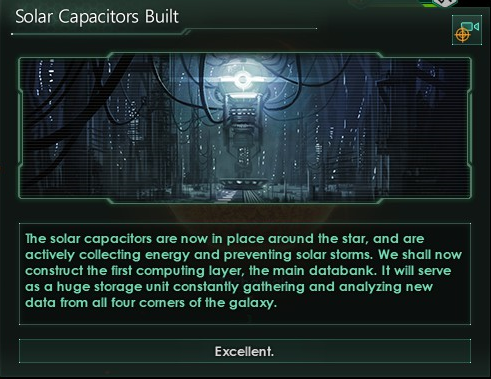 We haven't really discovered a source of unlimited power sadly, but we have created a means of storing immense amounts of energy and matter for later use if need be. It also looks heckin' cool. 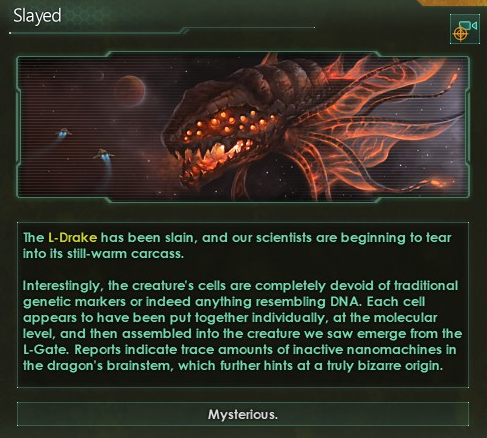 Further scientific developments have also been made, one of which involves a slightly unfortunate... administrative error. 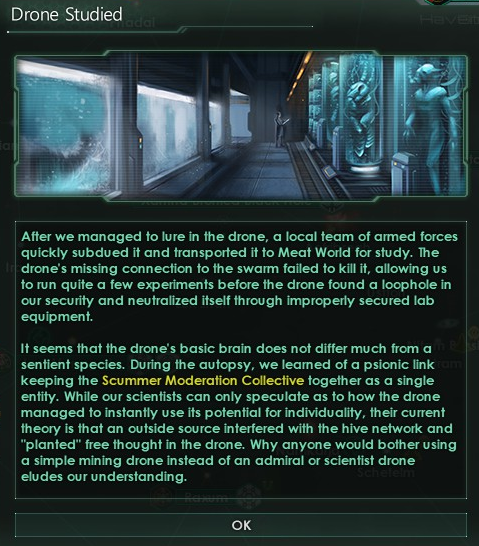 Regardless, a drone of the Moderation Collective's hive-mind gained sentience and had contacted us seeking asylum, claiming that all independent drones are swiftly liquidated. As such the drone fled his post and contacted us, drawing the ire of the Collective. Despite being told to ignore them we opened up a channel of communication and started to interact with Drone 7/9. The drone clearly feared for his life, and we had little reason to doubt his concerns. 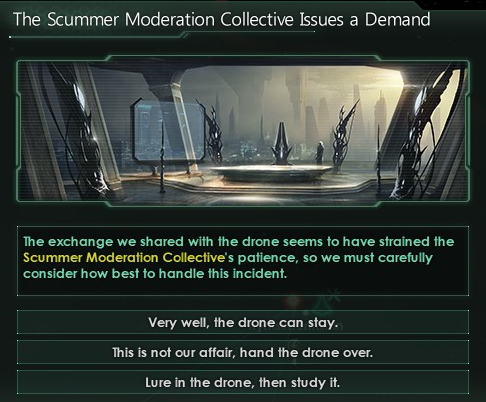 The Moderation Collective demanded we deny the defective drone access to our territories. This cause considerably discussion within the Assembly as to the right course of action. Doesn't quite justify the abduction and death of an innocent being but it's something. 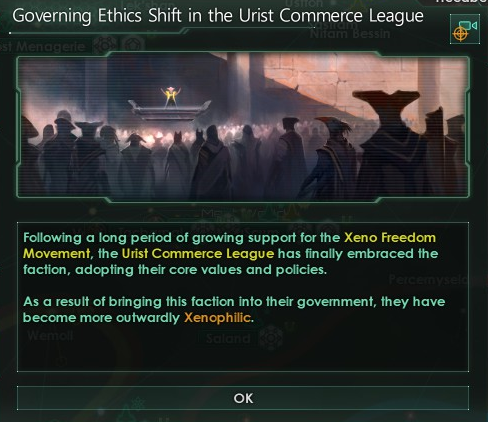 In galactic news: the Urist Commerce League had shifted its ethics towards Xenophilia, and then swiftly received a declaration of war from the Correct Path once more. This wasn't surprising, for all had been waiting for this old feud to cause a spat once more. Last edited by wgeurts on Fri Feb 01, 2019 12:58 pm, edited 2 times in total. 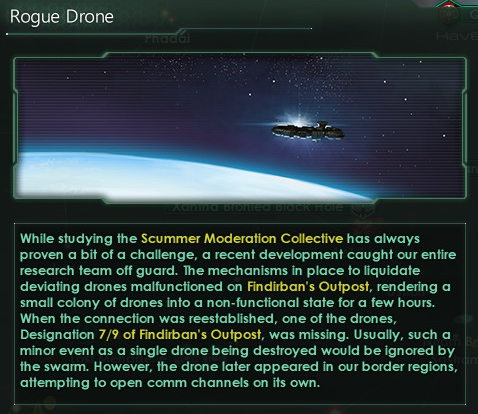 We must build a monument for Friend Drone. 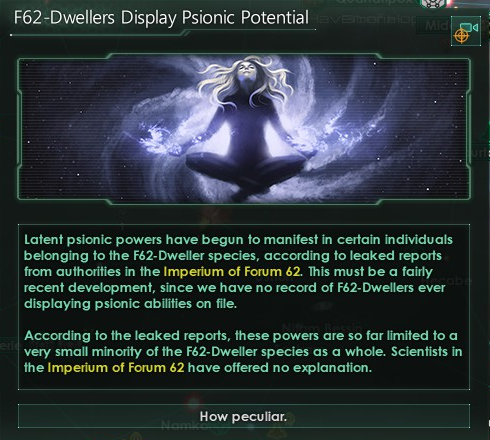 A few years later we also received reports that members of Forum-62 were showing psionic abilities in what was rumoured to be the start of an awakening. They offered no information when inquiries were sent. 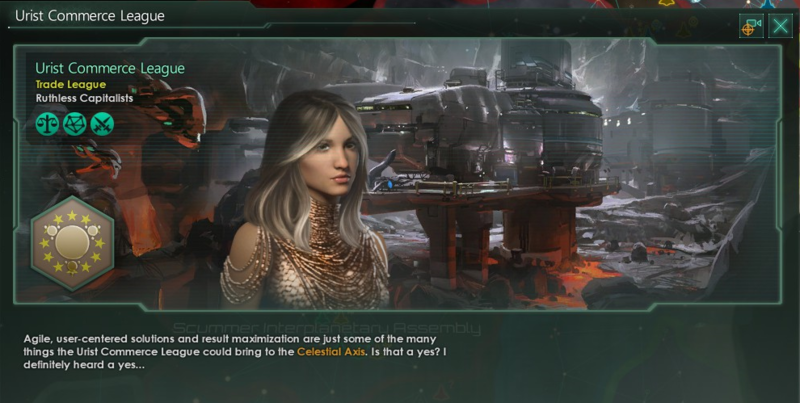 The new psionic rebirth amongst a small portion of their people's seemed to awaken a zeal within the folk of Forum-62, a sign from the gods that it was time to claim their rightful place within the galaxy. A fleet was readied and sent to the SIA boarders, performing routine drills at our border. 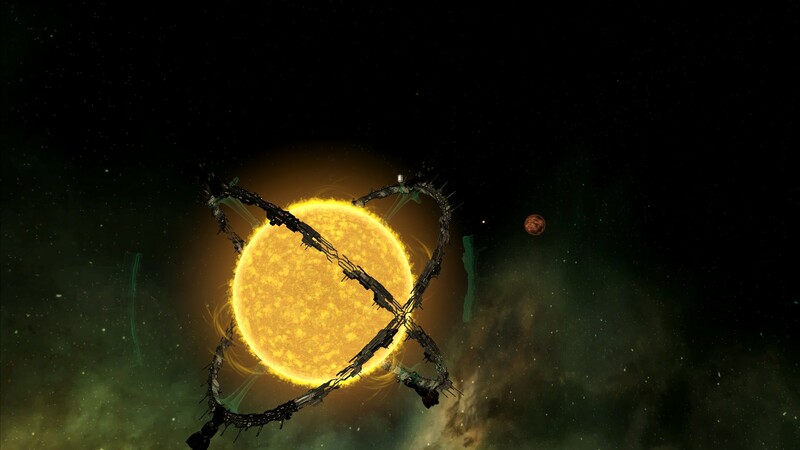 The inhabitants of Salaam, a planet near the border, defiantly refused to be intimidated by the gesture. Instead they united and readied themselves for a possible conflict. 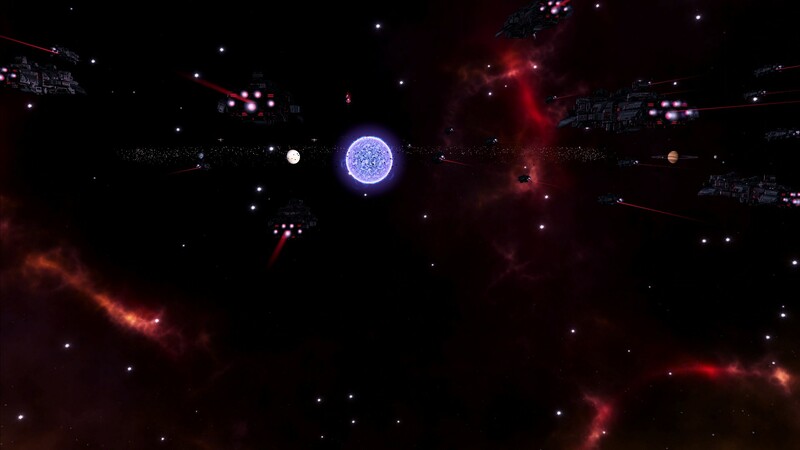 Our fleets combined could beat those of the of Forum-62, and we had access to an army of genetically-enhanced super soldiers that had volunteered over the last decades. If the religious fanatics were given the first opportunity to strike we would risk Scummer casualties within our own borders. The Assembly decided that pre-emptive action would be the best course of action, but first we would give the zealots a chance to bow down to our will. We offered them the opportunity to join our nation as a vassal, an offer they defiantly rejected. Seems like we have no choice. 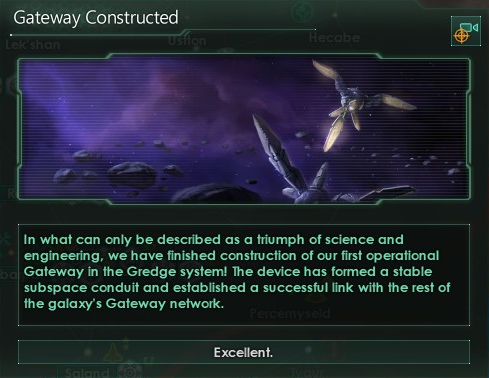 A proposal was submitted to the Celestial Axis' federal committee and was swiftly passed with the support of the Postie's who saw no reason to block our moves. 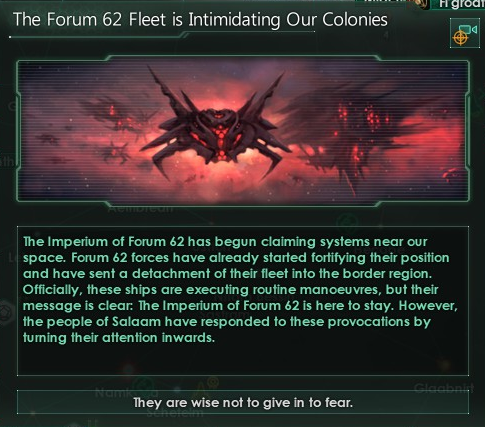 We were once more at war with Forum-62. 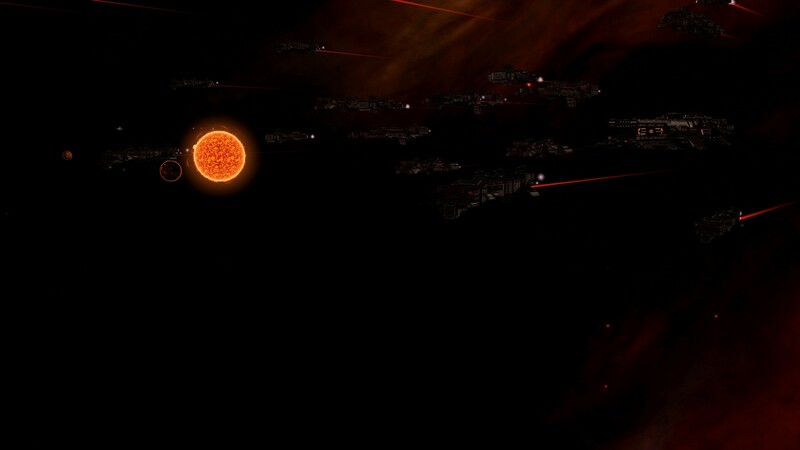 Our fleets utilised our newly acquired jump-drive technology to swarm the heart of their empire. The drives allowed ships to make tears within space-time, letting them traverse dozens of light-years within mere seconds. 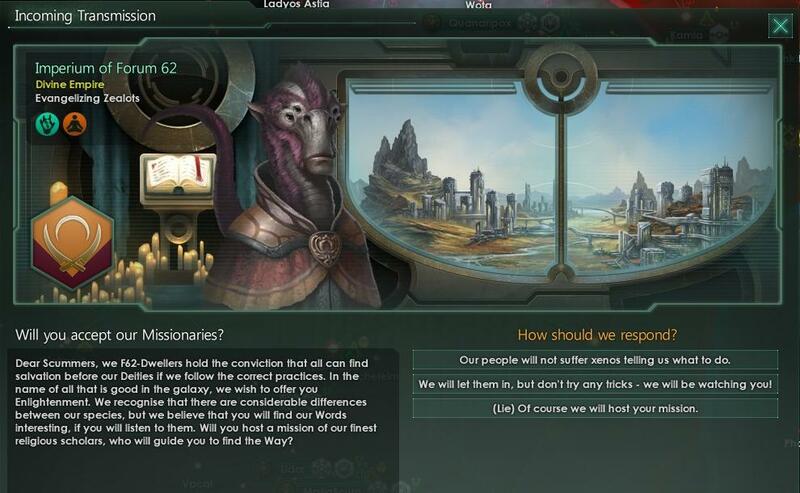 By doing so we bypassed any border protection they may have setup, and instead assaulted their core planets directly. The Forum-62 fleet was caught off-guard by our swift assault and hadn't been given the time to rally, and as such was decimated in smaller chunks. 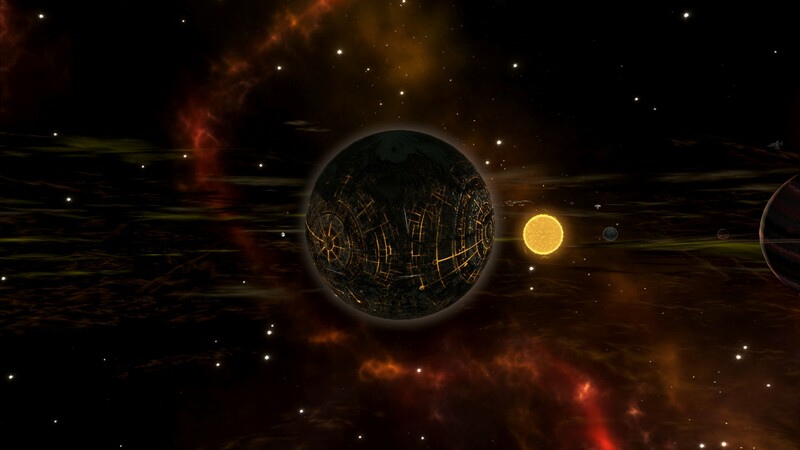 The planets of Forum-62 one by one fell into our hands as our invasion troops took hold of the local governments. Only the capital planet remained elusive... for they had shielded it with planetary forcefields as well as an immense army. 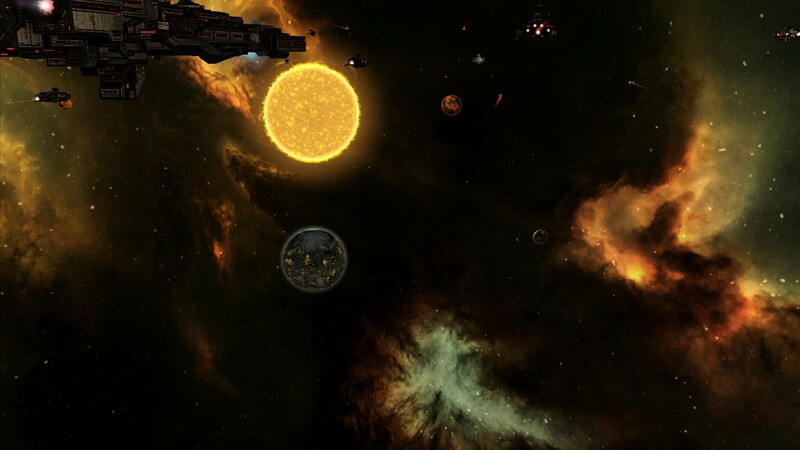 Our entire fleet was given the command to bombard the shields and the planet below for the coming 3 years... almost all infrastructure was razed allowing our troops to secure the planet. 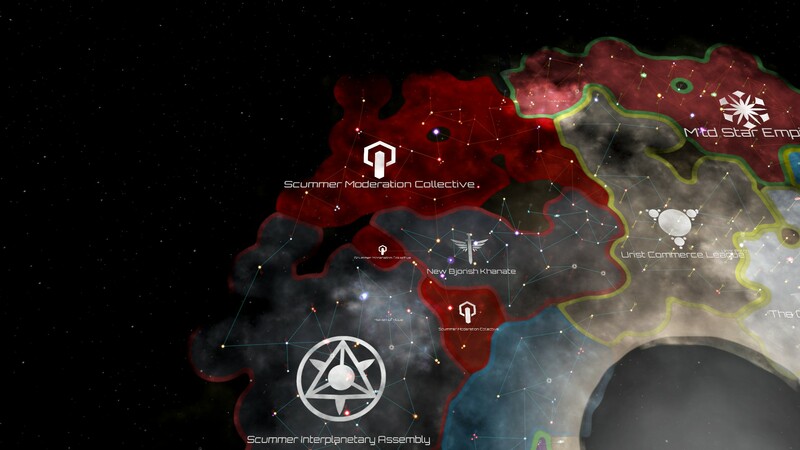 Forum-62 surrendered under our occupation, and we took two of their star-systems to finally connect our lands with the inner rings of the galaxy. They were now our vassal whether they liked it or not. 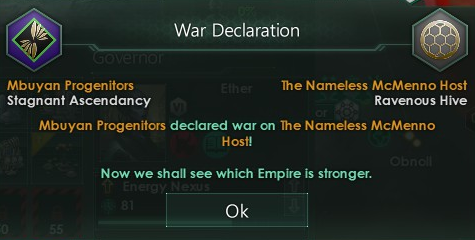 The fallen empire bordering the Nameless also declared war on them once more, for unknown reasons. It is likely the Nameless will have to give in to any demands, just like before. 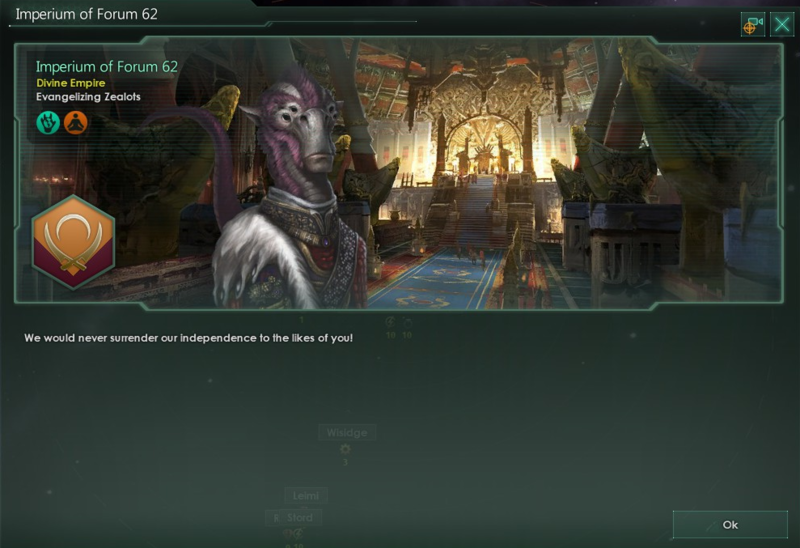 Also I love that the empire to achieve enlightenment was Forum 62, that's pretty great. 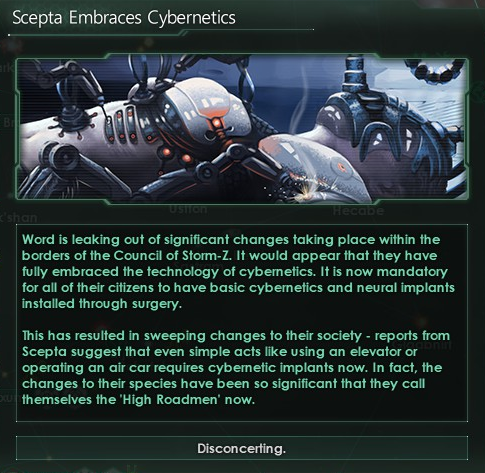 The coming two decades were notably peaceful for the Scummer Interplanetary Assembly, they were a time of progress and internal stability. President Maestro had proven to be a highly skilled ruler and had won over the respect of the people, keeping him in power for the last 5 presidential terms. He had reached the age of 166 as a result of advances made within medicine as well as the natural longevity of Space Shrews Half-Scummers. 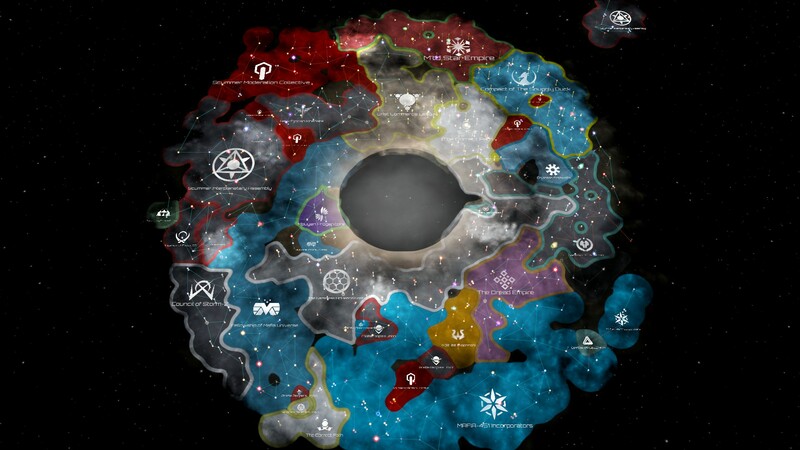 The SIA now boasted a populace of 647 billion individuals spread across its 15 planets, having now acquired to former Forum-62 colonies in the subjugation war. The populace had more than doubled in the last 50 years, an astounding growth which the local administration struggled to deal with. Overpopulation and joblessness became commonplace upon the larger planets of Meat World, Zoroaster, Las Veredas, Speakeasy and Elysium. 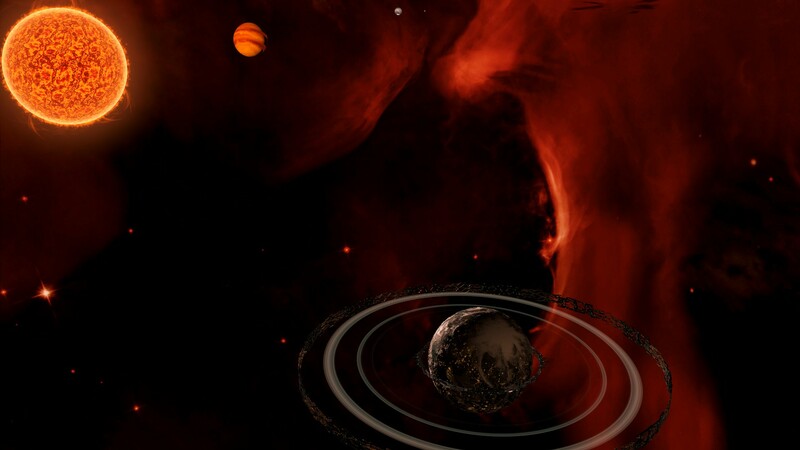 Maestro released enormous grants to researchers seeking solutions to these issues, and eventually a proposal was made to form a mechanical ring around the planets which could house Scummers as well as further industry. They would be powered by Zero Point reactors, and shuttles would frequently fly from the surface to and fro. A second ring would circle the inner ring to shield the inhabited inner ring from space-debris and radiation. 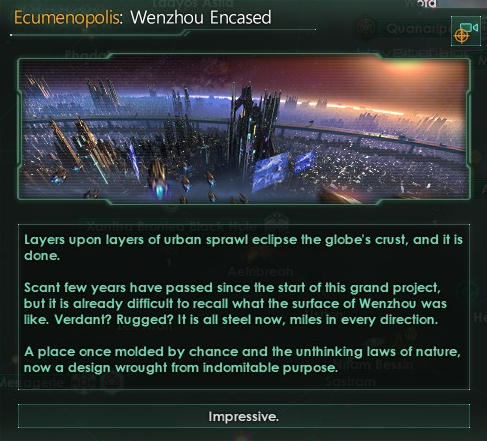 The planet Wenzhou slowly but surely also had grown into an ecumenopolis: a singular planet wide urban city capable of housing and providing for a few hundred billion. 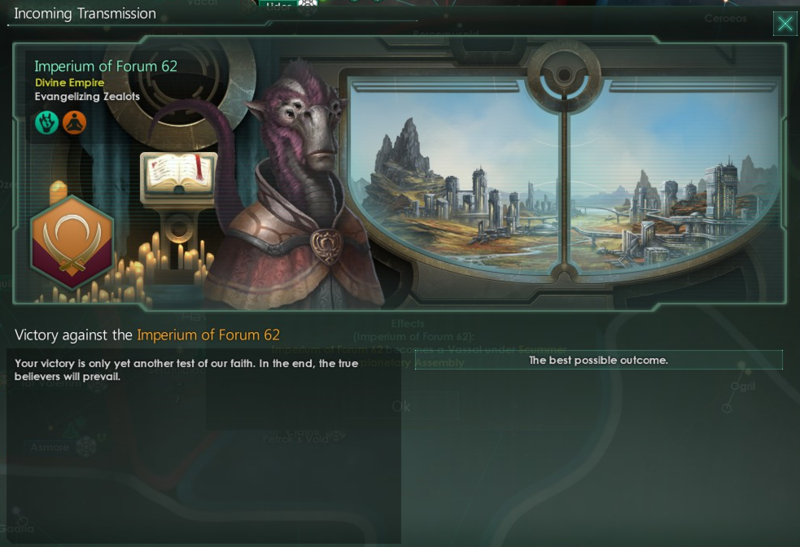 The authorities of Forum 62 were slowly but surely also coming to terms with the fact there was no way for them to challenge our rule, democracy and libertarian values being forced upon them. Despite this, they held onto their religious values and maintained a belief that one day it would be their turn to strike back and rise up. Their integration also provided them with the opportunity to try and evangelise for their cause, and an official request was sent to the Assembly seeking permission to send an envoy of messengers to spread the word of their "enlightenment" upon Speakeasy. Grudgingly we obliged, freedom of religion being a core tenet within our society. Sadly, their arrival was not received well by the citizens of Speakeasy. 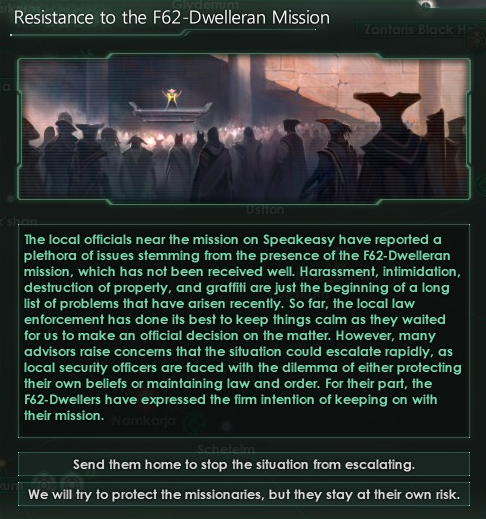 The missionaries were irritatingly persistent and slowly but surely the people of Speakeasy began to rebel against the authorities and those of Forum-62. The chaos left us with a difficult decision: allow those of Forum-62 to preach their gospel or maintain law and order. We opted for the latter, and banished the missionaries from our worlds for at least the coming decade. There were also a number of developments on the galactic stage. 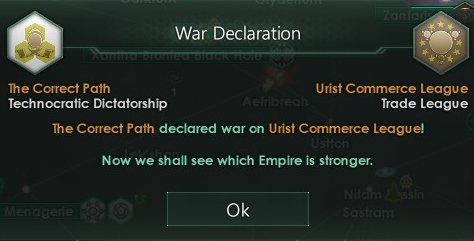 The Urist Commerce League had come to the conclusion they were better off working together with others than standing alone, the Correct Path and Moderation Collective both making for unpleasant neighbours. They asked to join the Celestial Axis, a move the Postie's supported. Although their request was formulated rather insultingly we voted in favour, thus allowing it. 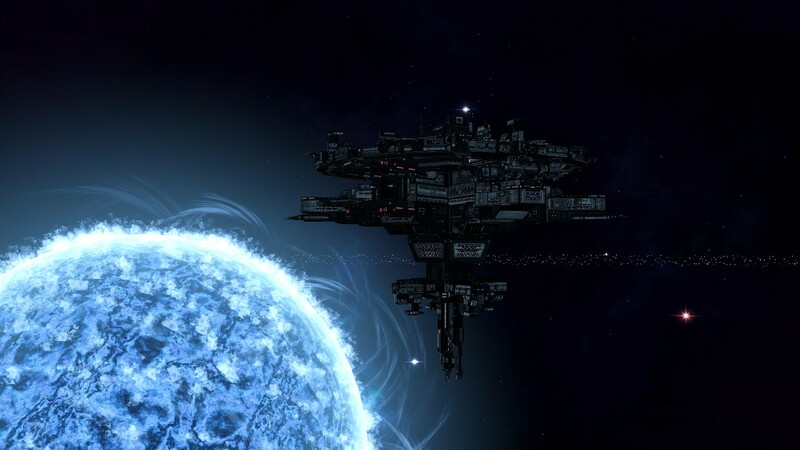 The League had a powerful economy and due to prior commercial pacts also held a lot of influence upon our planets as a megacorporation. It is better to have them on our side. 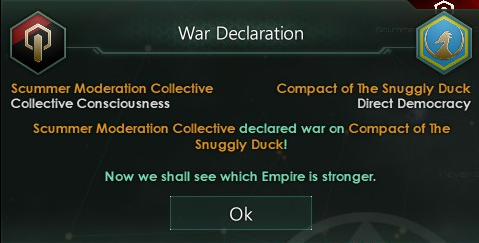 The war between the Compact of the Snuggly Duck and Mish-Mash also had come to an end, the Wortsarians gaining a large swath of galactic territory as a result. 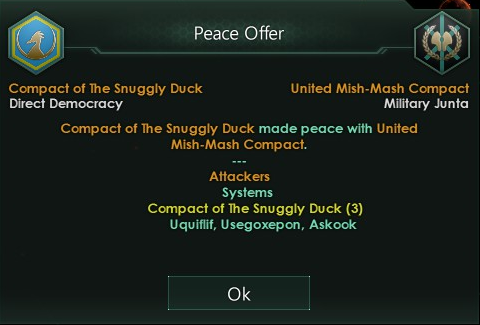 Shortly after the peace agreement was ratified the Moderation Collective once more declared war upon the Ducks. 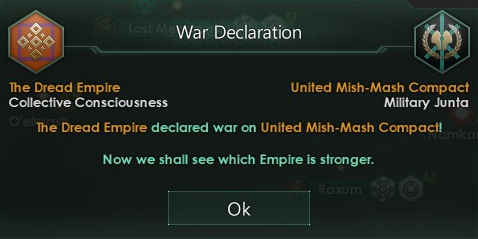 The Dread Empire also declared war upon Mish-Mash, probably to prey upon their weakened state. 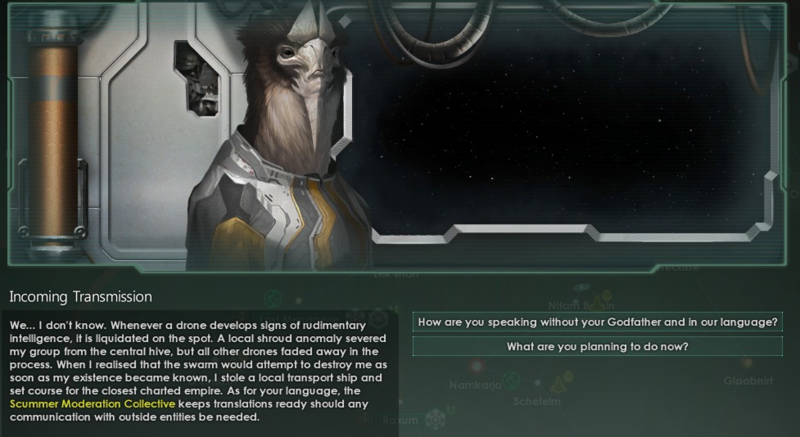 There apparently can be no peace in this galaxy of ours. And last of all, there were two new final major developments. 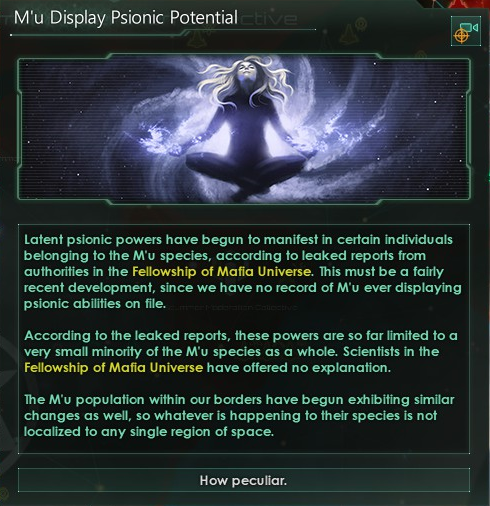 The M'u of Mafia Universe had also experienced an awakening of Psionic powers, similar to the Forum-62. Those of Storm-Z had also fully embraced cybernetics, all citizens being required to undergo cybernetic enhancement from birth. It is once more the turn of the century, what will the next 100 years bring? Seems like the light blue kingdoms are more successful. Does color lead to success? 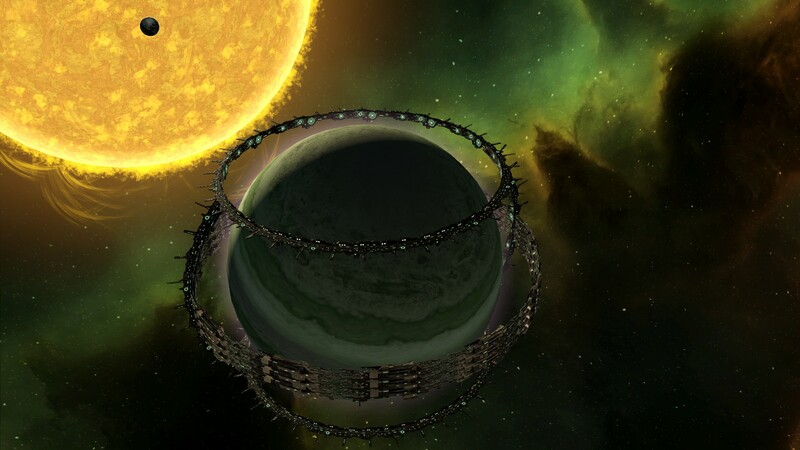 Leaps in technology and a surge in resources as well as funding stemming from improved production techniques as well as access to the internal market of the Urist Commerce League has enabled us of the Scummer Interplanetary Assembly to fabricate structures and mechanisms so complex and awe-inspiring that their mere presence will carry on our legacy for millennia to come. Many mega-structural engineering projects had been green-lighted by the Assembly, and were either making significant progress or even completion in the past decade. 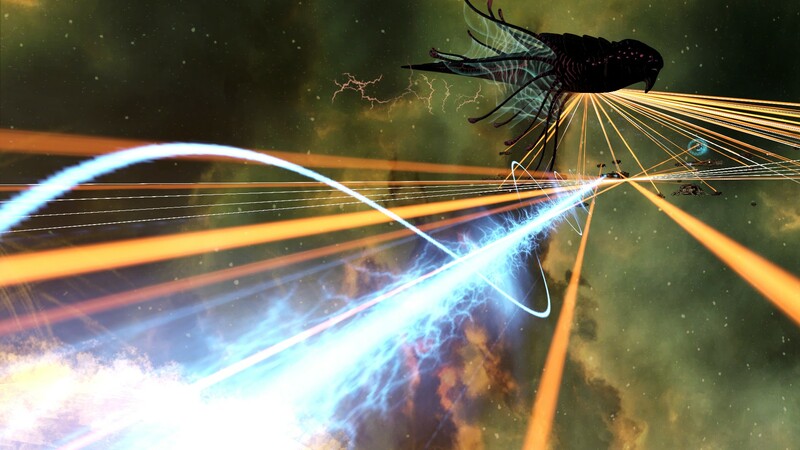 Our physicists discovered the theoretical means of maintaining a gateway wormhole, something our engineers were then tasked with replicating on a stellar scale to allow our fleets to traverse the gateway network of our galaxy. It took us seven years, but we succeeded! Long had we marvelled in awe at these structures in space, left behind by civilisation long past. No more. We have become them. 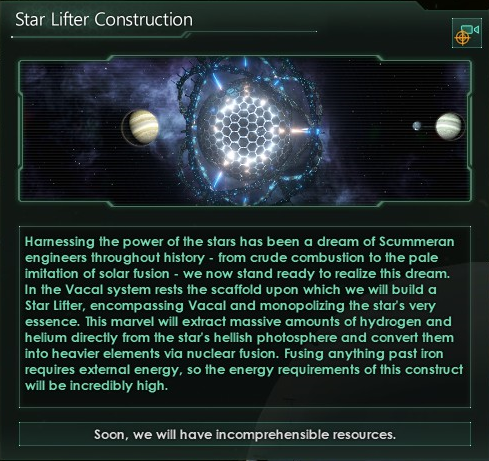 Another ambitious project currently underway was the construction of a "Star Lifter". 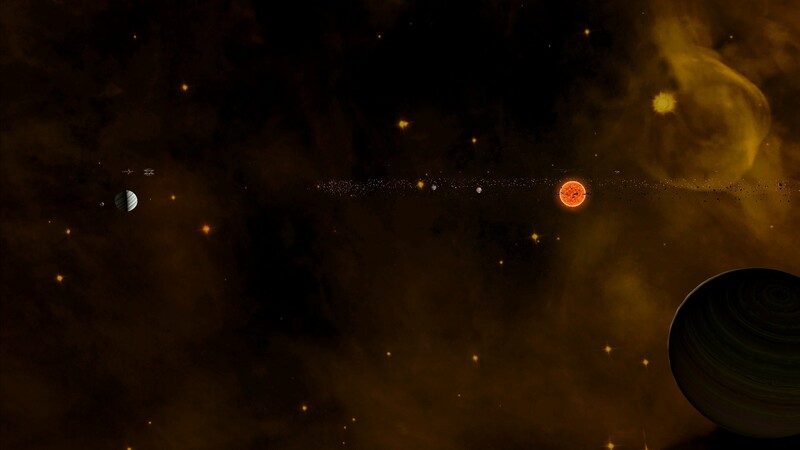 Star-lifting is the theoretical practice whereby a civilisation would mine the mass of a star and convert it into resources for further utilisation elsewhere. 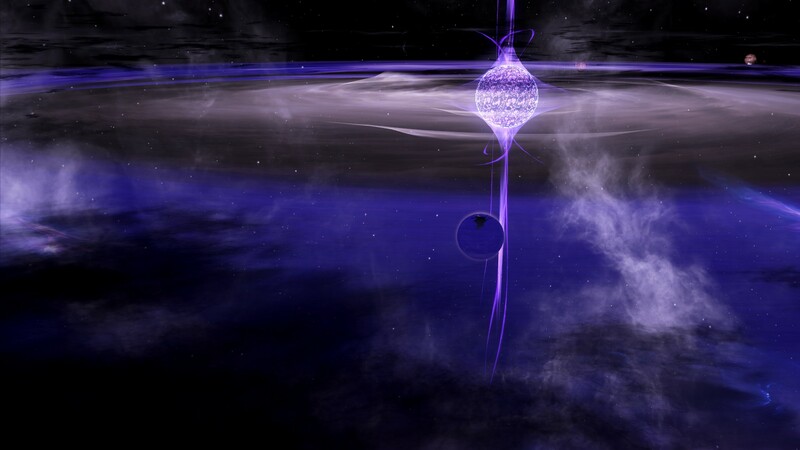 Within the Vacal star system we are attempting turn theory into reality, with the frame of our star-lifter currently halfway through completion. 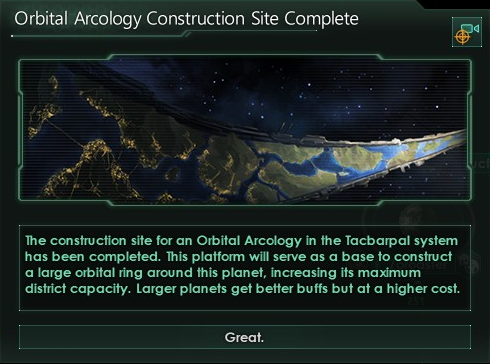 We have also managed to repair the Yggdrasil Orchid Complex left behind by the Irrassian's that once lived in these parts of the galaxy. 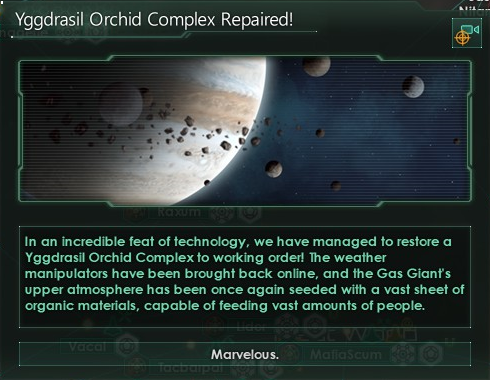 The complex was essentially a gigantic farm where orchids were grown which fed off of a gas giant, allowing us to produce immense quantities of food to feed our peoples. 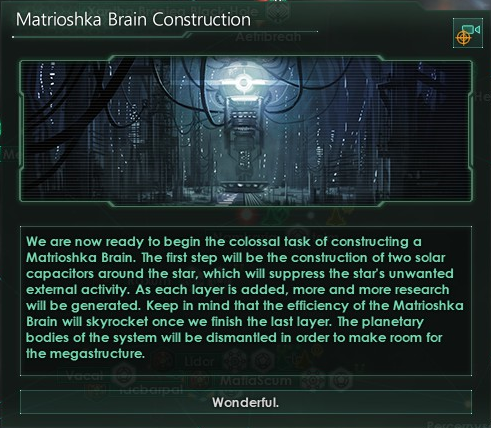 Most impressive of all however was the construction of a Matrioshka Brain. 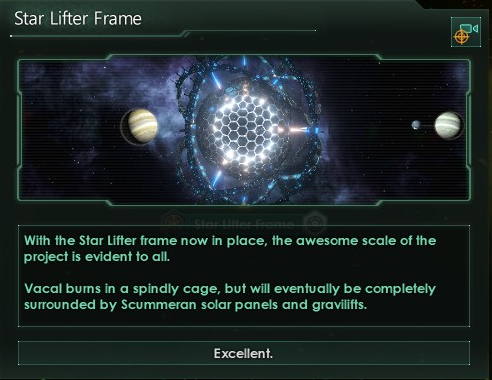 This megastructure is a suggested super computer powered by the entire energy output of a singular star to drive its systems. If we can realise its existence our research capabilities would forever be unmatched! Sadly our efforts to revolutionise our society and lives was not left undisturbed. 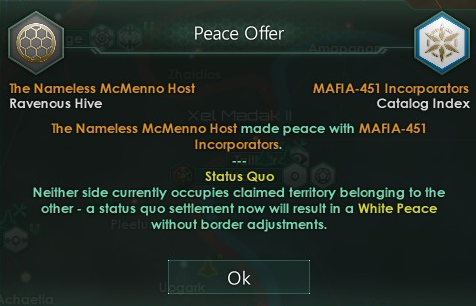 The Mafia-451 made peace with the Nameless McMenno Host. The two had long been caught in a war neither side could gain the upper-hand in, thus slowing the expansion of both parties. 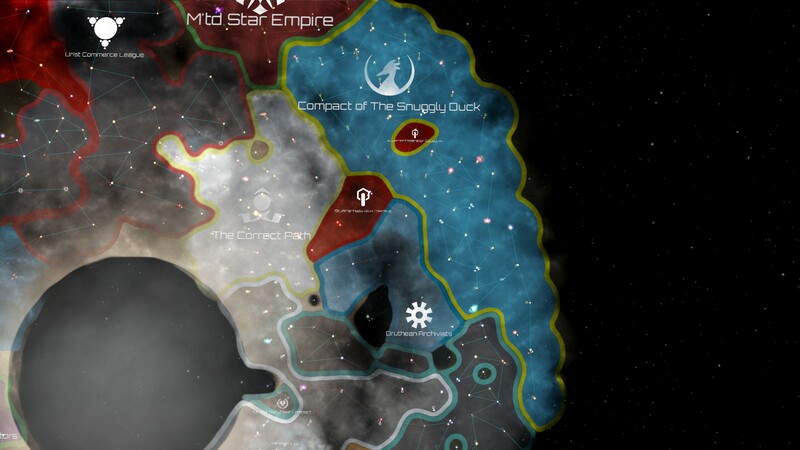 The end of the war freed up their resources and fleets once more to lay their focus elsewhere, in this case: on the Posties. 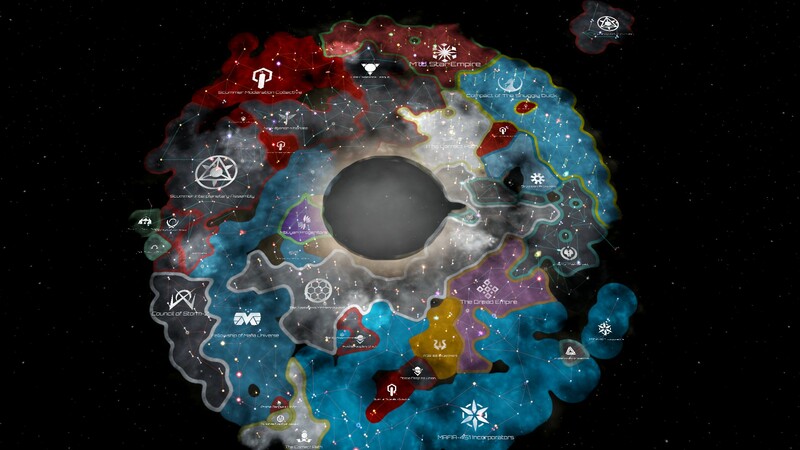 A surprise declaration of war was made, and as they are our federation allies we too are drawn into the war. We are however capable of reaching Postie lands. 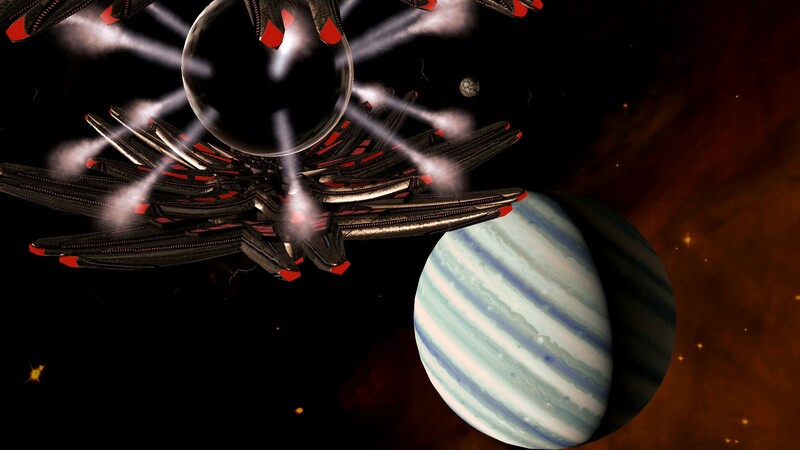 It requires us utilising our jump-drive technology to reach a wormhole which brings our fleets within Postie borders. 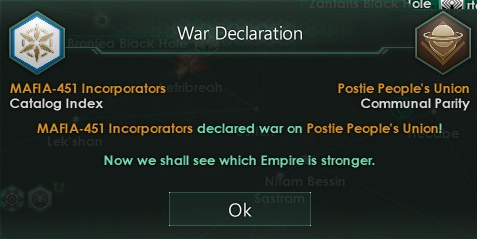 Should the Posties lose control of the wormhole, all reinforcements would be cut off. 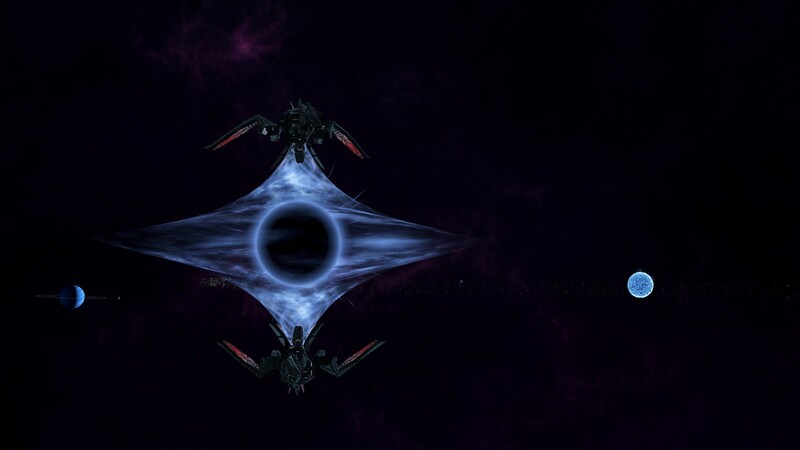 Reaching the wormhole also takes two years, and our fleets would not be able to make their way back swiftly if they are needed closer to home. We have no choice however, losing the wormhole would grant the 451 access to relative North of the galaxy. We cannot allow that to happen. Whats our combat logistics vs theirs? This is like the first major battle we're involved in, so it's interesting to see how it plays out. can fallen kingdoms rise again? This directly influences the independence of an entire civilization though, so theres that. In post 221, Annadog40 wrote: can fallen kingdoms rise again? They can become Awakened Empires eventually, and that tends to spell trouble.